Oceanfront and truly one of the most beautiful 2 bedroom & 2 1/2 Bath condo locations on the South Shore of Kauai This 2-story condo is one of only 5 adjoining townhouses that share this type of floor plan and is located in the desirable building "C" of Poipu Shores. 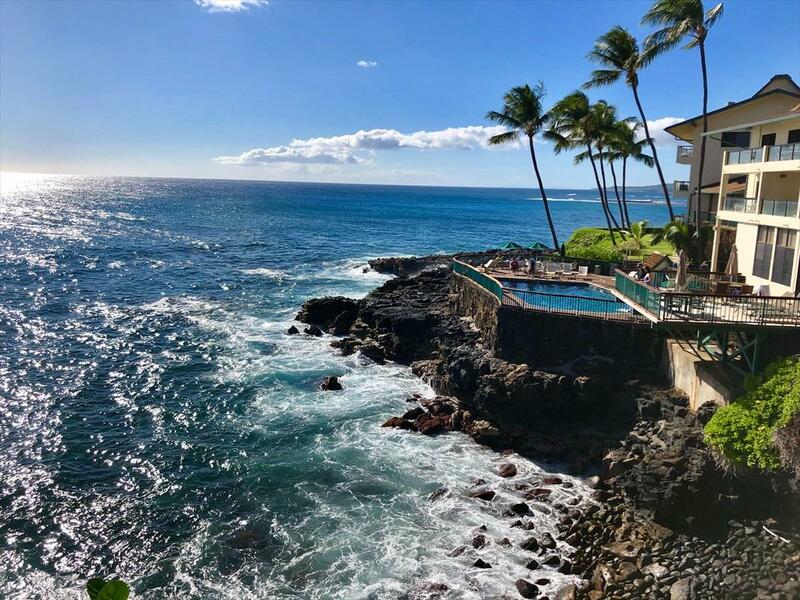 One of the most hidden secrets at this complex is the gated short cut along the oceanfront that leads you to Brennecke's Beach and Poipu Beach Park After the beach, enjoy the heated swimming pool thats built into the lava rock that sits out at the oceans edge. Then cook some delicious fish caught at one of Kauais delicious fish markets and prepare it at one of the barbecue stations on property. 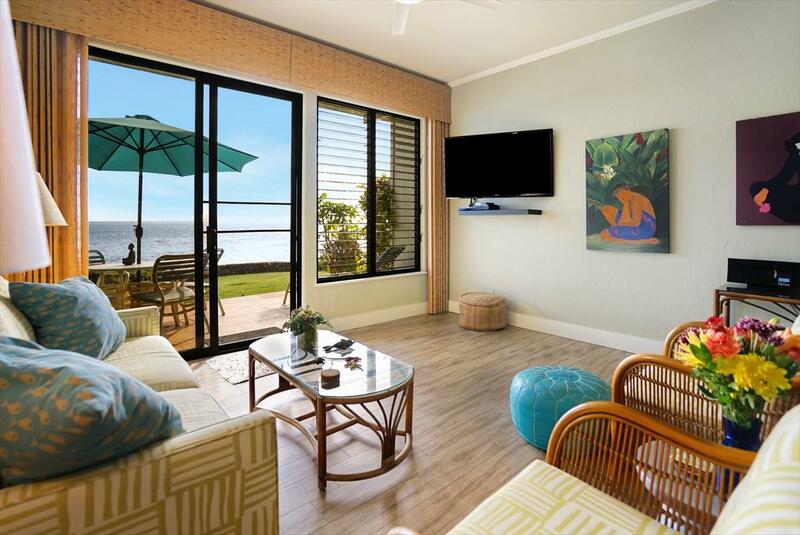 All this can be enjoyed at the "Club House covered patio area.This successful, fully furnished vacation rental is larger at 1,204sf and has lower & upper lanais that takes advantage of the amazing views. 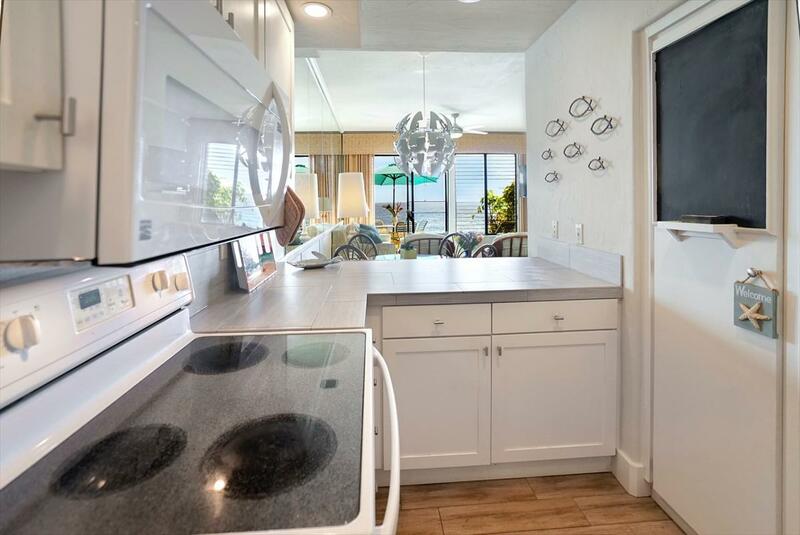 Considered a "Deluxe Oceanfront Condo" with its upgraded interior, prepare to walk out of your condo past your private lanai and enjoy the grassy area between you and blue Pacific Ocean! 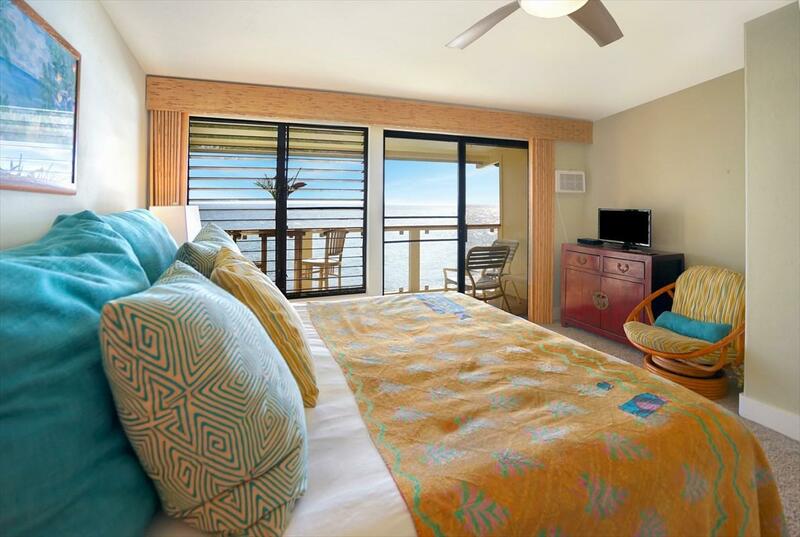 These "Magnificent Views" from this perfectly situated condo provides a breathtaking 180-degree view of the ocean while the horizon explodes daily with blues, greens and oranges as the sunrise and sunsets unfold before your eyes. This view is a living painting that changes everyday!Endless ocean waves perform a beautiful symphony while the dancing water struts its stuff right in front of your eyes! Water sports such as sailing, scuba, snorkeling & surfing will call the more adventurous soles to come and play daily Enjoy the turtles feeding, spinner dolphins dancing across the water and the whales breaching as if they were performing for your sole entertainment. All this awaits you while sitting in the comfort of this amazing condo!Beautifully appointed this luxury condo on Kauais premier Sunny South Shore will be a place youll be glad to call home when on Kauai!